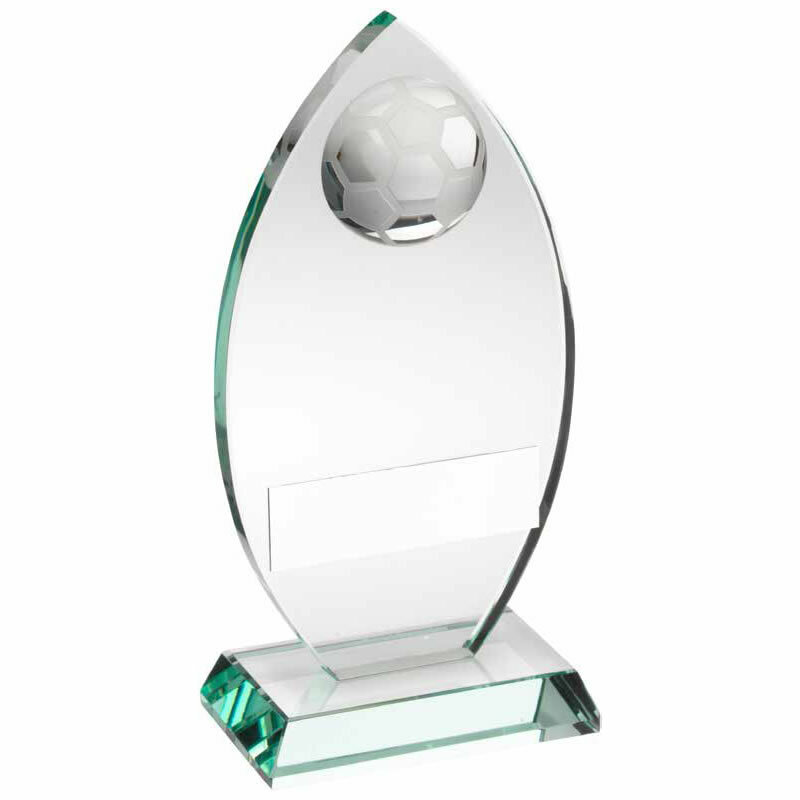 These stylish modern football plaque awards are made in jade glass and feature clean lines and a simple, elegant design. They include a 3D football inset towards the peak of the plaque and are mounted on a jade glass bevelled plaque. These football awards plaques are available in three sizes and offered with engraving options.